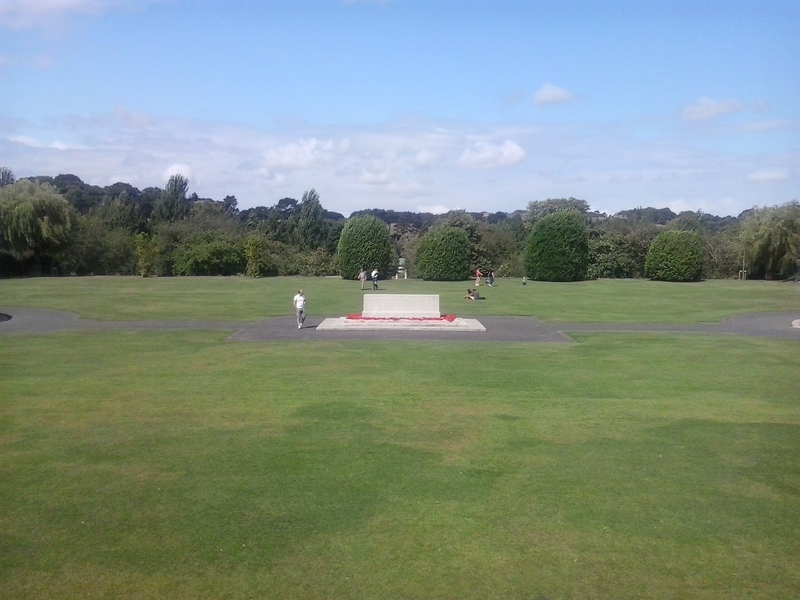 A few days back, when the weather was still exceptionally fine, I took a bus to the Phoenix Park and made a day out of walking along the War Memorial Gardens and the Museum of Modern Art further up the bank of the Liffey River. 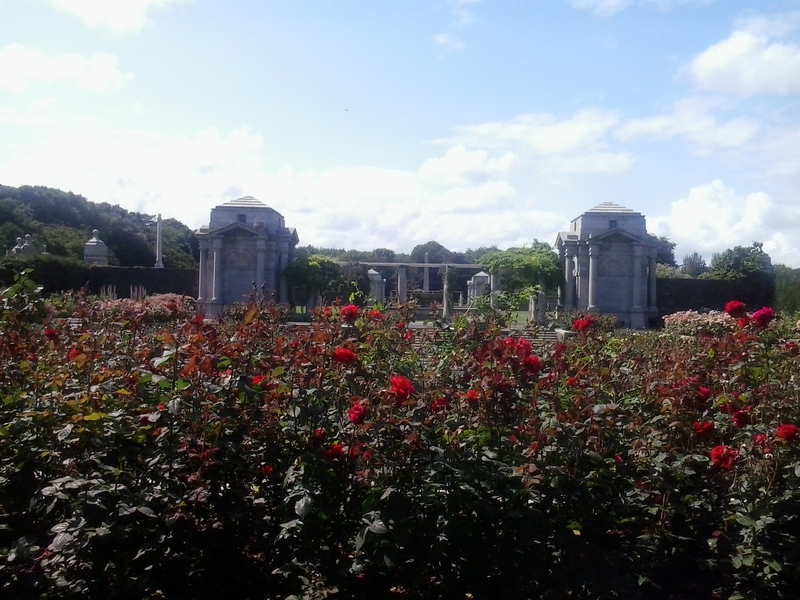 The War Memorial Gardens in Dublin were designed with perfect symmetry by Edwin Lutyens to commemorate the fallen in both World Wars – but sadly due to our complicated relationship with England and the resulting ambivalence about commemorating wars in which she fought, the grounds were let fall into neglect. Thankfully, with the political climate changed, the grounds have been restored to their full glory, and I have included some pictures I took below the cut. This is a view from one side of the main rose gardens. What this picture cannot convey is the heady smell of the pink, red and tea roses all weaving their scents in the heavy summer air. 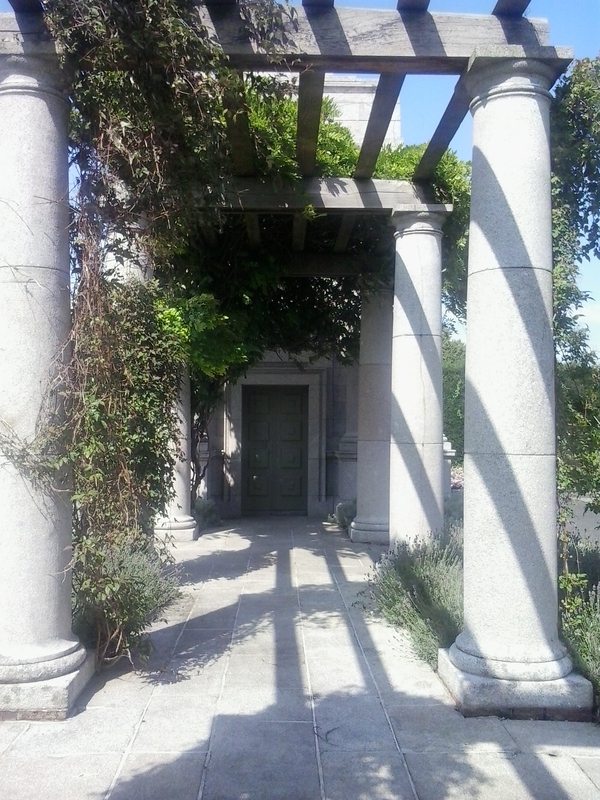 Continuing on into the centre of the gardens, flanked by the pergola and rose garden on either side, one sees an open grass area in which stand two fountains, and a huge cross up a flight of steps. From the cross I took this picture of the central stone of commemoration from which all else radiates outwards according to the design. There are many contributions from organisations in the North and the Ulster Unionist party, which might be part of the reason for Southerners’ historical reticence on the topic, feeling perhaps that it symbolises other things. But all remember the dead here. 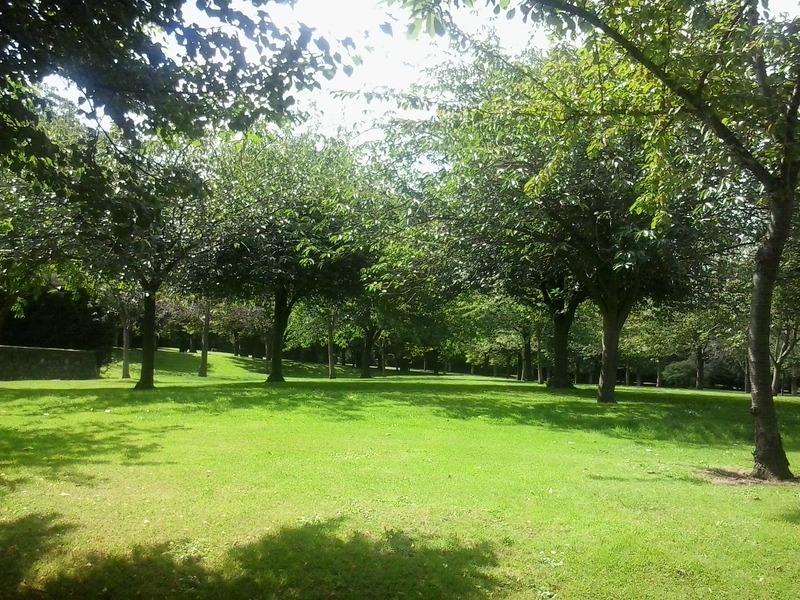 For those in the Dublin area or visiting who would like to go see the gardens: a 10 or 46A bus takes you from the city centre to the Phoenix Park (see dublinbus.ie for timetables) and one can cut through the Park and leave at the Islandbridge pedestrian exit to cross the river at Islandbridge. At that point, there is a signpost for the War Memorial Gardens. Parking in the area is limited. For a full day out, teaming it up with a visit to the Museum of Modern Art is perfect.